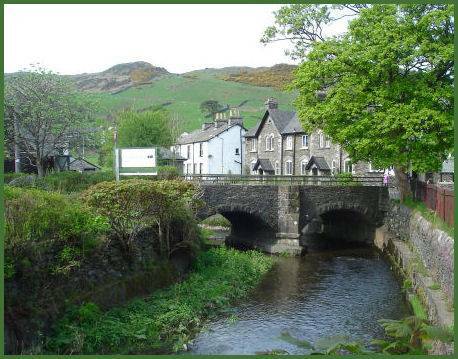 Staveley is a large Lakeland village, lying at the junction of the rivers Kent and Gowan , at the mouth of the Kentmere valley. The village lies amongst the fells of Reston Scar, Spy Crag to the north-east, and Lily Fell to the south. Staveley derives its name meaning the 'field of staffs', from the Middle English stave for staf and leye meaning pasture. The area has been inhabited since at least 4,000B.C., when Celtic speaking Briton farmers settled there. Staveley acquired a market charter in 1329. The village was formerly a centre for the woodland industry and bobbin making and retains a number of its old mill buildings and a former coppice drying shed with stone pillars, which has been converted into flats. Medieval St. Margaret's Church at Staveley dates from 1388, and was built by Sir William Thwengonly, Baron of Kendal and lord of the manor of Staveley. Prior to the church's construction, villagers had to travel the distance of seven miles to Kendal in order to worship. 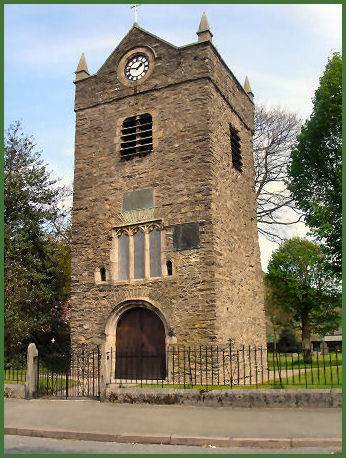 A later addition was the belfry which dates from 1589, a clock was placed above it in 1744. As the site on which the church was built was damp, a new Parish Church of St. James was built on higher ground in 1865. The nave of St. Margaret's was later demolished and some of its windows inserted in the tower. In 1887 the tower was restored and heightened and a new clock installed by public subscription to mark the Golden Jubilee of Queen Victoria. Only the tower of the building now remains. A plaque on the tower commemorates Staveley men of the F Company, Second V B Border Regiment, who served in the South Africa Campaign 1900-01. St. James Church was constructed in 1865, and boasts a superb stained glass east window designed by Sir Edward Burne-Jones and made by William Morris and Co.